Attend SAS User Forum and get inspired by best practice from SAS experts, updated on analytics news, and clued-in about the best hands-on tips and tricks you can implement directly after the conference. 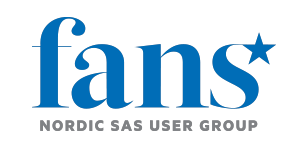 Together with FANS, the new Nordic User Group, we are building a program that goes deeper into news and use of SAS software. In addition to being a social arena where you can meet hundreds of peers, this forum will give you a broader knowledge of SAS capabilities and the benefits they bring to your work. Learn and be motivated by best practice from other SAS customers, partners and advisers. 10:10-10:40 Implementing Role Base Access Control / Dynamic Separation of Duties authorization schema on SAS platform. 10:50-11:20 The Future of SAS Enterprise Guide and SAS Studio. 10:50-11:20 Online raportoinnin onnistunut käyttöönotto osana palveluhallintaa. 11:30-12:00 To die, or not to die – experiences from competing at a global data science competition. 13:00-13:30 Agilon-automaattivaraston ennustava huolto, käytännön esimerkki. 15:20-15:50 Best Practices and things You Didn't Know You Could Do with SAS® Visual Analytics. 14:40-15:10 Asiakkuuksien systemaattinen johtaminen ja ohjaaminen eteenpäin elinkaarella. With reservation, changes in timeslots may occur. Ongoing updates of the agenda. At SAS User Forum, you can try out how it works and get acquainted with the concept. Each year, SAS's strategic partners enliven the exhibition area and participate actively in the SAS Forum programme. 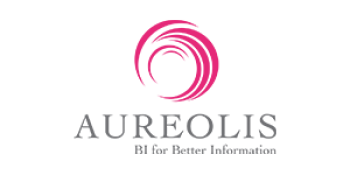 They demonstrate their expertise in terms of consulting, support, integration and technology. If you would like to be a sponsor, please contact Morten.Kristensen@sas.com.